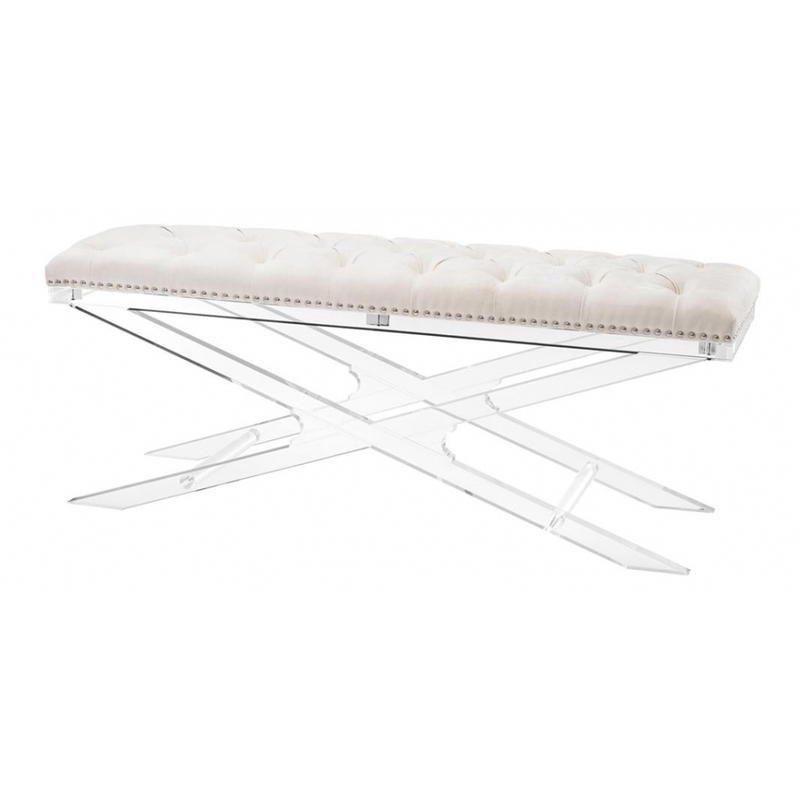 Classic design meets contemporary styling with the Bruno Bench by Eichholtz. Its soft and luxurious ecru velvet upholstery with a traditional button design is impeccably finished with nickel studwork, resting on a unique clear acrylic frame for a truly unexpected touch of modern style. Perfect for relaxing in the bedroom suite or for considering your choice of outfit and accessories in the dressing room, the Bruno Bench will add elegance to a wide range of interior design schemes. Style with mirrored furniture for an updated Deco look, accessorise with metallics for a glamorous, luxe effect or keep it traditional with polished dark wood, sumptuous wall coverings and silk soft furnishings. Here at Uber, we have an extensive directory of Eichholtz luxury homewares to choose from. Why not contact our expert interior design team for further details and inspiration to help you find the perfect curated collection for your next home, yacht, bar or hotel design project?